At some point I’ve started biting my nails again. I don’t know when it happened or why but it’s probably stress that’s the culprit here. I’ve been chewing on my digits for as long as I can remember. As a kid that nasty stuff that tastes like all heck was applied to my fingers in hopes that would stop me. That’s when I started chewing on the skin around my fingers. I was told that it was my reaction to stress and upset and at some point simply became a habit. And habits are hard to break. But one day I just stopped. My nails had gotten longer without my really noticing. But that’s because they had been way down beyond the quick. It’s not like they were hanging out over my fingers or anything. But it was either my Momma or my sister that noticed and said something. I remember realizing that is why I was bringing out blood whenever I was scratching my legs and back. Oh, this is cool. To keep up with the trend I started painting my nails. It was something I had never had the opportunity to do before so I went after it with gusto. I learned that my favorite polishes were a bit more pricey than what I thought I’d be cool with but I also learned pretty quickly you get what you pay for. I had found glitter nail polishes but nothing like I was wanting. The color was always slightly wrong. So I started making my own using Tulip Fashion Glitters and I’m about to show you how to make your own. 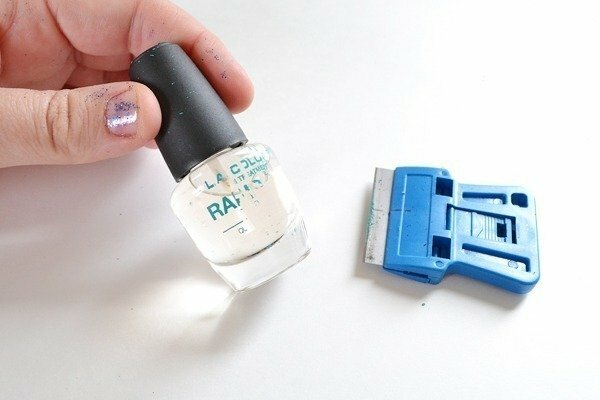 I like to purchase this L.A Colors rapid dry top coat from Dollar General. It’s a cool buck and you can use a razor blade to scrape away the words. This is great because I’d rather the bottle be plain, but would also be nice if you wanted to give a set as a gift! 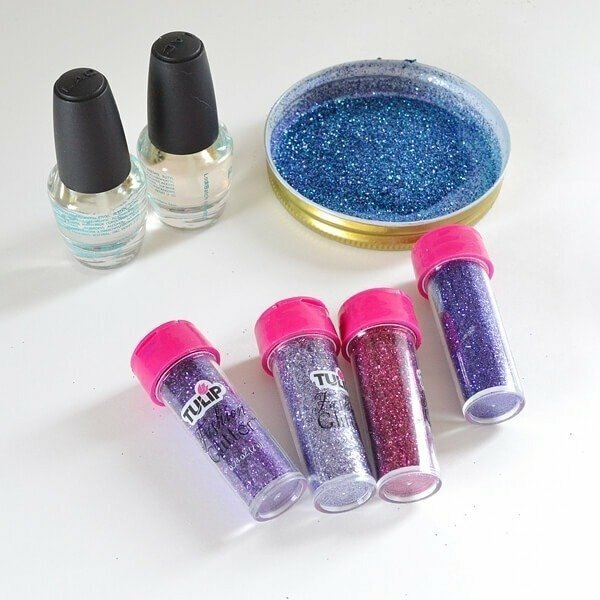 To make your polish, grab your Tulip Glitters (I have the 24 pack and can make an amazing assortment of colors!) and mix up colors you love. 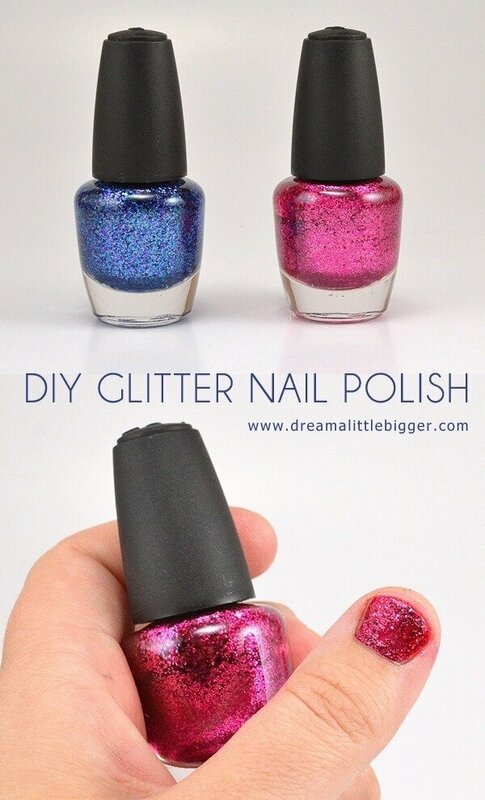 You actually want quite a bit of glitter so make enough to make a nice pile in the palm of your hand. After a few goes you’ll be able to eyeball exactly how much glitter you need. I can use a mason jar lid pretty accurately these days to mix mine up! See how I used three different colors? This is what I added into my red polish! 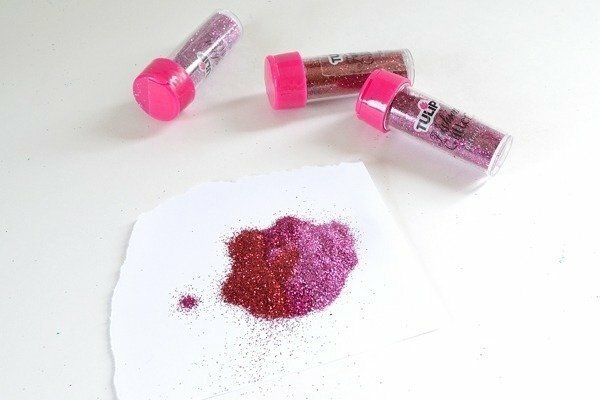 And though it is terribly wasteful, you’ll need to pour out about 1/4 – 1/3 of the bottle to make room for the glitter. On this day I went temporarily dummy and poured the stuff out in my office trash can. 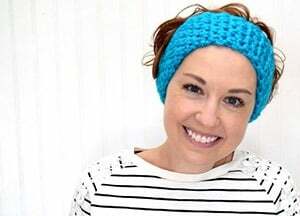 That was a big, headache and dizzying mistake! Use a piece of scrap paper to make a little funnel and get the glitter into the bottle. One of the reasons I most love making polish this way is that the clear colors from something in the glitter. See how around the glitter the polish is blue? That way you can’t see missed areas as much as with traditional glitter polishes that are strictly clear! And just to show the colored polish off a bit more, I painted my nail and picked off the glitter from the very center before it dried. At first glance you wouldn’t even know it’s missing because the red of the polish fills in the blanks! This is such brilliant idea. My tween daughter is going to have a blast making her own! !